It’s that time of the year again. Do you have your brackets filled out? Who’s going to be crowned this year’s champion? We’re not talking about college basketball’s March Madness, obviously, we’re talkin’ Mobile Madness! Last year’s fan-voted “phone of the year” went to the BlackBerry Passport. It’s becoming harder and harder to find a “bad” phone; so many devices come with amazing processors, great cameras and top-notch hardware and software. Most manufacturers have gotten away from piling on the skinned treatment, too. Even Samsung, notorious for blowing out TouchWiz to be almost unrecognizable as Android, has toned down its use of all the unnecessary software. 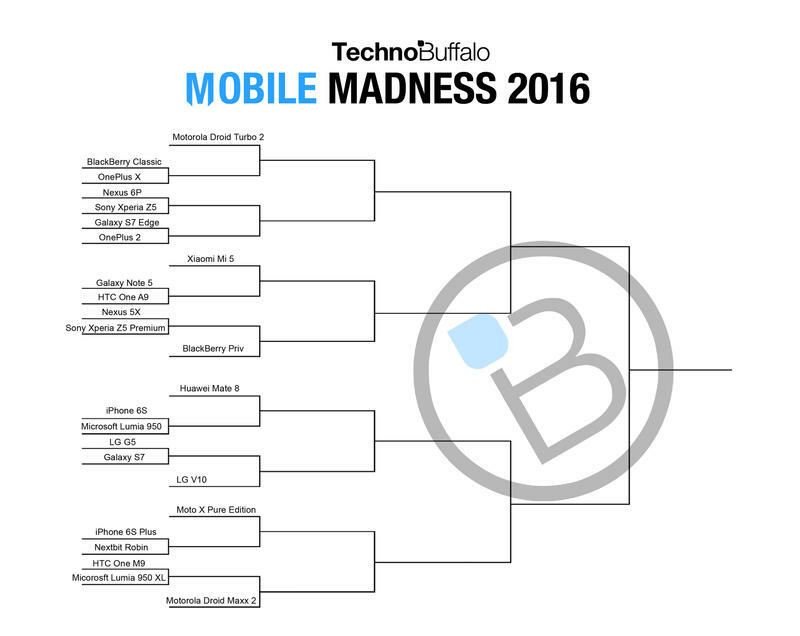 We’ll start with the first round of fan-voting, Thursday, and continue daily until we eventually crown this year’s Mobile Madness winner. So what phone will it be? That’s up to you. Vote early and vote often. Vote as many times as you’d like. We’re not locking the voting down or requiring any additional log-in requirements. Will we regret this? Probably. But you’ll get the chance to really pick your favorite phone. Oh, and be civil – you know who you are – because remember, this poll is all just for fun.